5-HTP, short for 5-hydroxytryptophan, is a derivative of tryptophan, an amino acid that is present in high protein foods such as meat and dairy products. The body makes its own 5-HTP from tryptophan, and in the brain the 5-HTP is converted into the neurotransmitter serotonin. 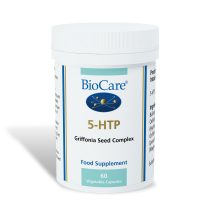 The 5-HTP provided by this product is extracted from a natural source, the seeds of an African plant called Griffonia simplicifolia. 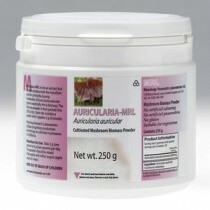 The extract from this plant is now one of the most extensively used supplements worldwide and is particularly popular in the USA where it has a long history of use. As with all Lamberts Healthcare® herbal extracts, care is taken to ensure the material used meets strict guidelines on purity. 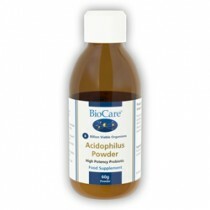 The daily intake recommendations for this product reflect the levels of 5-HTP used in most of the studies. Tableted With: DiCalcium Phosphate, Calcium Carbonate, Cellulose, Tablet Coating (Hydroxypropyl Methylcellulose, Colour: Titanium Dioxide, Glycerin), Silicon Dioxide, Stearic Acid, Magnesium Stearate. Disintegration Time Less than 1 hour. 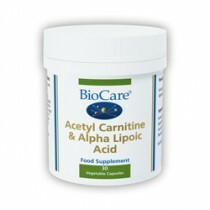 Take up to 3 tablets daily, half an hour before meals or half an hour before bedtime. Start on one tablet and increase if necessary. 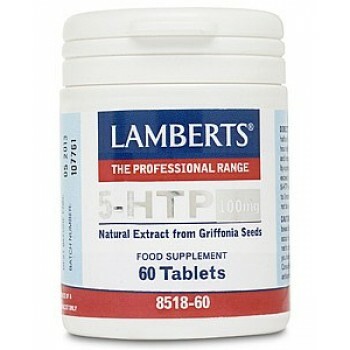 5-HTP is best taken for periods of up to 3 months.